Australia's politicians are out of touch with the reality of climate change. A searing drought is putting heat on the new Australian government’s apparent disdain for decarbonization policies. At the end of August, meanwhile, the Australian Government Bureau of Meteorology said one of the warmest winters on record was due to last three months. “The outlook is not great news for farmers in drought-impacted parts of the country,” said the bureau in a press release. Although the release did not mention manmade climate change, the dry spell appears to be having an impact on public opinion. Research body The Australia Institute this month revealed that more Australians now accept the reality of climate change than at almost any time since its surveys began, in 2007. Today, 76 percent of Australians accept that climate change is occurring and 73 percent are worried about it. The figures are up from 71 percent and 66 percent, respectively, in 2017, the survey said. Critically for the present government, which backs coal-fired generation as a means of cutting electricity prices, the survey also found that 70 percent of Australians think old coal plants should be closed and replaced with clean energy. Belinda Kincaid, Australia director at LO3 Energy, said the drought was having a particularly strong impact on the rural farming community, which would traditionally vote for the Nationals, the conservative party now governing in coalition with the center-right Liberal Party. Kincaid said it was likely the federal government might underestimate popular support for action on climate change. “That includes the National’s voter base,” she said. On a recent visit to an LO3 project in the Latrobe Valley in Victoria, the brown-coal heart of Australia, she said farmers complained that the government’s policy of handing out money was shortsighted. A failure to grasp the popular sentiment on climate change could cost the coalition government dearly. Although not a prime worry for voters, energy and climate might rate among the top three or five issues of concern. Scott Morrison, the Liberal Party prime minister who took charge of the federal government after a leadership tussle in August, underscored his climate and energy sympathies by brandishing a lump of coal in in parliament last February. “Don’t be scared, it won’t hurt you,” he roared. Morrison’s newly appointed energy minister Angus Taylor, meanwhile, “has been a trenchant opponent of the federal Renewable Energy Target and wind farms ever since one was built next door to his family property,” said the Australian Financial Review. Despite this, renewable energy interests in Australia remain stoical about the prospects for the industry. 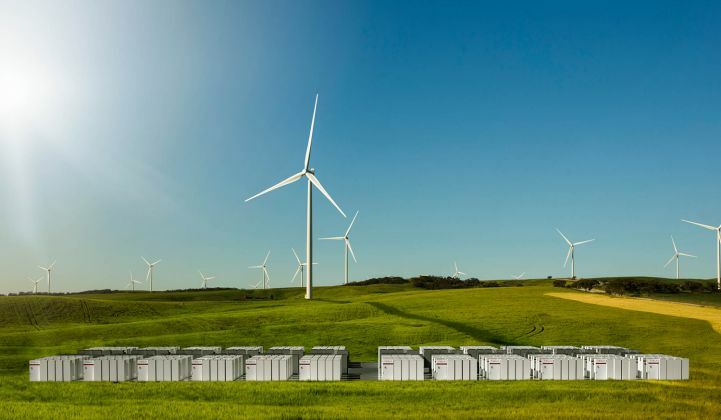 Tim Harris, CEO at energy storage firm Redflow, said although Australia’s energy sector lacks the bipartisan support needed to create investment certainty for renewables, “and it looks like that will continue for the foreseeable future,” state governments are picking up the slack. South Australia, Victoria and others have been enacting policies to encourage investment in renewables and energy storage, he said. More widely, Energy Networks Australia, which represents gas distribution and electricity transmission and distribution businesses throughout the country, said it hoped Taylor would deliver regulatory stability and investment certainty as well as lower prices for customers. “We are keen to engage with the new minister to brief him on issues of concern to the network sector,” said Andrew Dillon, chief executive.